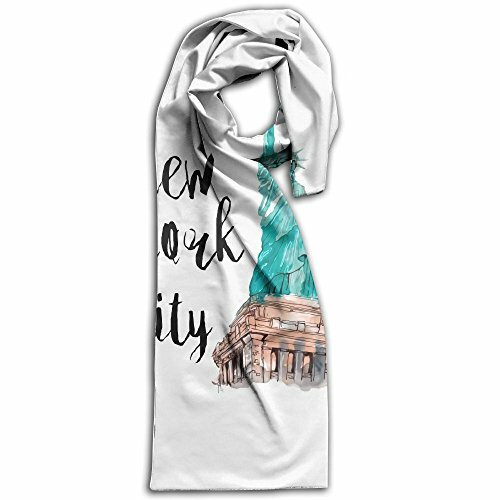 Large Selection Of Unique Scarf Designs, Featuring Beautiful Detailing. Large Variety Of Styles And Colors; Easily Match Any Coat, Suit, Outfit, Dress, Etc. Scarf Collection Includes Both, Classic Traditional And Contemporary Designs. Perfect For Men And Women. \r\nManufactured With Super-fine Enhanced Viscose Fibers, Utilizing Advanced Technological Techniques. Amazingly Mimics The Luxurious Soft, Feathery Lightweight And Warm Texture Of Premium Cashmere. Enjoy The Feeling And Benefits Equivalent To A Pure Cashmere Scarf. \r\nScarfs Are Authentically Woven; Utilizing Traditional Weaving Methods. Enjoy The Amazingly Posh And Luxurious Craftsmanship. Super Warm, Soft And Comfortable. EXCEEDINGLY FASHIONABLE AND PERSONALITY:Tired Of Replacing Your Scarf To Obtain That Smart Voguish Look? Treat Yourself With This Amazing Scarf That Is Versatile And Advantageous! It Can Be Styled In Boundless Ways And Paired With Just About Anything! Incredibly Enhances Plain Jeans Or Formal Pants! EXTREMELY COMFORTABLE AND WARM:Super Breathable And Lush, Soft Cashmere Feel! Will Keep You Toasty Warm On Frigid Cold Winter Days, Yet Comfortable And Lightweight To Wear Around The House! Features Superior Plush Cozy Insulation That Feel Feather Light On The Body Without Witnessing The Heavy Sense Of An Ordinary Wool, Polyester Scarf! GREAT GIFTING IDEA:Stop The Nerve-wracking, Stressful Search For A Perfect Gift Solution, Buy A Doppyee Scarf For Your Loved One And Youfll Resolve This Issue In The Most Thoughtful Way Possible! Itfs A Classy Looking Scarf That Feels Like Heaven! And Comes In A Nice Packaging, Ready To Give As A Gift! Everyone Will Enjoy A Doppyee Avenue Attractive Scarf To Polish Up Their Look!! EASY CARE:100% Viscose Fabric, Can Be Hand Washed Or Dry Cleaned. Perfect For Complementing Any Wardrobe, Or As A Unique Gift For Your Loved One. If you have any questions about this product by Doppyee, contact us by completing and submitting the form below. If you are looking for a specif part number, please include it with your message.